Royal Princess which is one of the largest ships in the Princess Cruises fleet is less than 200 days away from its U.S. West Coast debut. The Princess Cruises will debut out of Port of Los Angeles in less than 200 days. The ship will begin cruising to the Mexican Riviera from March 23, 2019. The ship is iconic for Princess as being christened by Her Royal Highness, Catherine, The Duchess of Cambridge in 2013. The ship is also the first in the Royal-class and helped expand the Carnival-owned cruise line with new features and offerings. 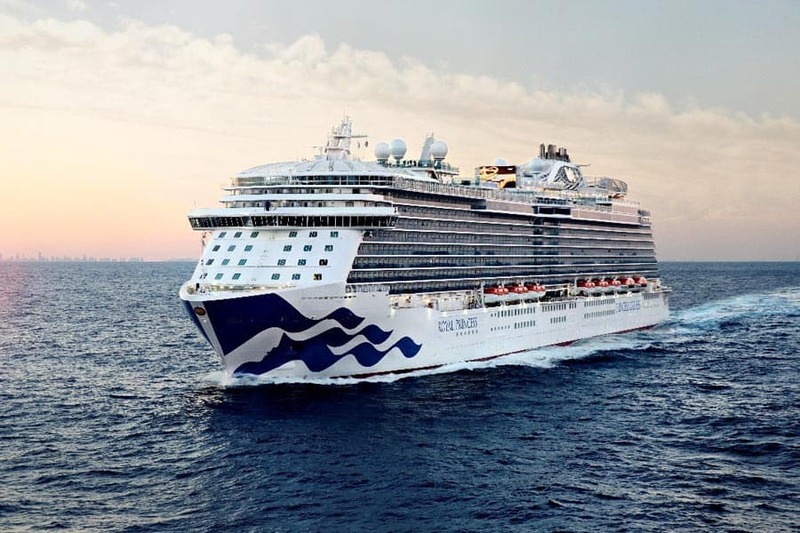 From Los Angeles, Royal Princess will sail up the Pacific Coast on a seven-day Coastal voyage departing May 4, 2019 to Vancouver to begin her maiden voyages to bucket-list destination Alaska. The Alaska season begins on May 11, 2019 and Royal Princess will offer 18 “Voyage of the Glaciers,” seven-day cruises, sailing between Vancouver and Anchorage (Whittier) with port stops in Ketchikan, Skagway and Juneau with scenic cruising in Glacier Bay National Park, plus an additional glacier viewing experience at either Hubbard Glacier or College Fjord. Guests can also spend time in the interior of Alaska with a variety of cruisetour offerings, with stays at Princess Wilderness Lodges and visit Denali National Park. In 2019, Princess Cruises celebrates 50 years of cruising in Alaska and takes more guests to the Great Land than any other cruise line. Royal Princess will depart Vancouver on September 14, 2019 on a three-day Coastal cruise, returning to Los Angeles on September 17, 2019 to offer a 12-day roundtrip cruise to Alaska, including Glacier Bay. September 29, 2019 marks the return of Royal Princess to Los Angeles for cruises to the Mexican Riviera with several five-, seven- and 10-day options; seven-day California Coastal cruises and shorter four-day West Coast Getaway voyages, visiting Catalina Island. Royal Princess ends her 2019/2020 season with a seven-day Pacific Wine Country cruise from Los Angeles to Vancouver departing on May 9, 2020. The 3,560-guest Royal Princess first debuted in Southampton in June 2013 and was officially christened by HRH The Duchess of Cambridge. Significant to this ceremony was the fact that her mother-in-law, Diana, Princess of Wales, christened the original Royal Princess in 1984.